Sarah Johnson, aka @thediabeticcactus, is your (not-so) average, super awesome, superhuman, certified type 1 diabadass. 🏅 She works from home in Pennsylvania as a project manager for a small risk management company. She and her dad are avid fans of The Office's Michael Scott and Dwight Schrute. And, before we go any further, major shoutouts to her dad! Mr. Johnson: Sarah says thanks for staying up with her during all of those overnight lows! 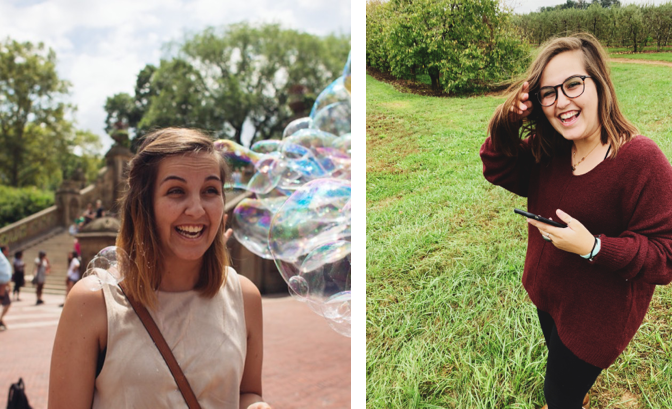 Because Sarah is such a pro at sharing her diabetes journey with the world, we wanted to hear more about how it all came to be. Check out our interview with Sarah below! OD: What's your diabetes story? SJ: I was diagnosed the weekend before Thanksgiving in November of 2000. My mom, who is also a type one diabetic and a physician, (yay for type 1 family members!) noticed one day that I was drinking a lot of water and got up to use the bathroom in the middle of the night (which was very rare for me). She knew there was a chance that I would end up with type one. So she and my Dad decided to take me into her office to do a urine dip to check for ketones and glucose. Once it was positive for glucose in the urine they decided to do a finger stick, that came back with my sugar being in the high 300s. Next, they called my pediatrician to let him know that they thought I was diabetic. And after that, I was admitted. We only spent 1 or 2 nights in the hospital; since my mom was already type one and a doctor, we did the bare minimum as far as all of the classes. She taught me all the tricks to diabetes herself! OD: How do you manage? 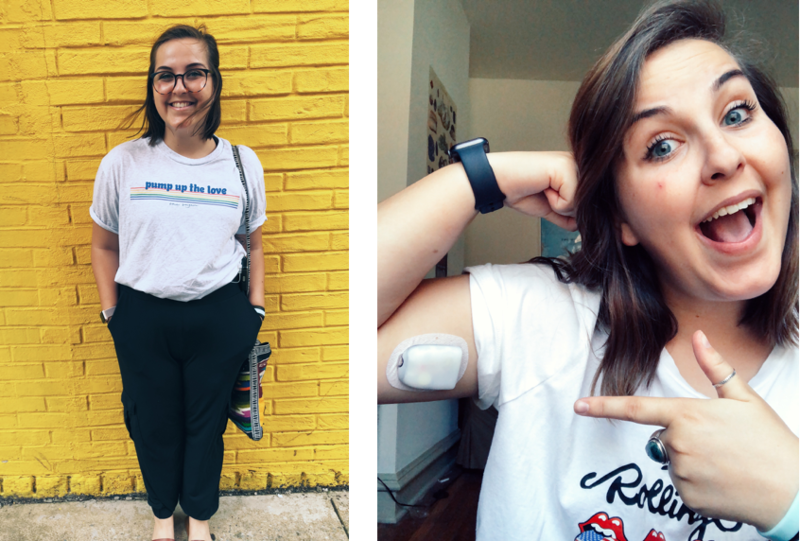 SJ: I manage my diabetes with the Omnipod insulin pump! I just got it in September, but I’ve been on a pump for over 10 years. Before pumps, I was on MDI [multiple daily injections]. I’ve also been on Dexcom for about a year, which has been a total game changer! OD: Have you found any diabetes hacks along the way? SJ: The main hack I’ve learned with diabetes is to just go with the flow. Some days you can do the exact same thing, eat the same thing, and have a great day of sugars. Then, the very next day, you can do and eat the same exact thing, and something completely different will happen with your sugars. Learning to roll with the punches and take the time to learn from what happened is key. OD: What has having diabetes taught you? SJ: Having diabetes has definitely taught me patience. I think it's important to not get too bent out of shape over a bad number, because we’re all trying our best with this disease. OD: What's your most memorable diabetes moment? SJ: Oh man, there are quite a few! The first one that comes to mind: I pretended to have a low blood sugar to get out of running the mile in high school. I’ve used my diabetes as an excuse many, many times. You just can’t argue with it! OD: Would you undo your diabetes? SJ: I would not undo my diabetes. I don’t have any memories of not having type one, and for that I am extremely grateful. Having type one has given me a lot more empathy and compassion for people. It's an ‘invisible’ disease, and it reminds me that you never know what the person next to you has going on in their own life. OD: What's your favorite quote, and why? SJ: “To live is the rarest thing in the world, most people just exist.”- Oscar Wilde. The one thing I will always remember (that my parents taught me) is to never limit myself with this disease. I don’t want to just exist with diabetes. I want to live with it!! You can either let your numbers control you, or let yourself control your numbers.